Our very own Jonecari Designer Maker is a finalist to design and create a costume to represent Northern Ireland’s entry to “MISS EARTH” 2017 in the Philippines. The inspiration for her design was The Giant’s Causeway and the coastlines and unspoiled beauty of Northern Ireland. 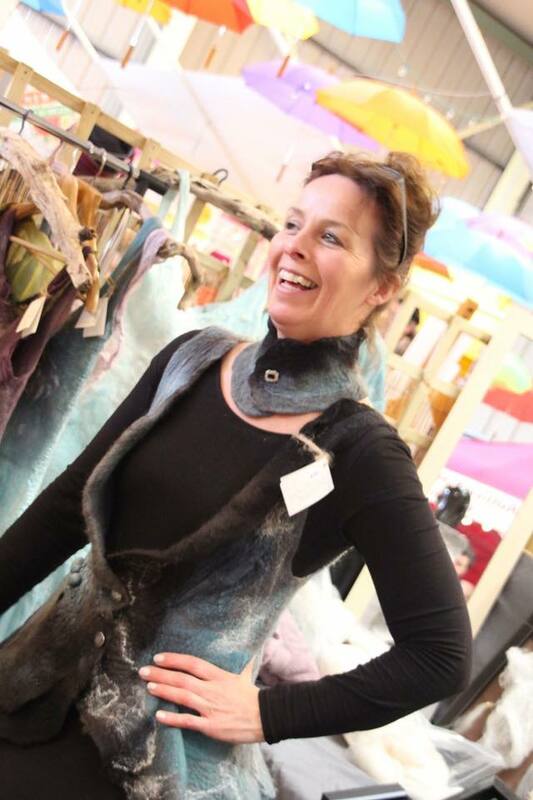 Joan works mainly with organic merino wools, high quality silks and natural fibres, designing her own patterns, while using her own blend of custom dyes, in the Japanese art of Nuno felt. Joan is the final 8 of the competition, but she needs your help to reach the final 3. The TOP 3 public vote winners will be invited to a Grand Final event at the Playhouse Derry on May 28th, where the overall winner will be announced and win £500 towards the creation of the dress. 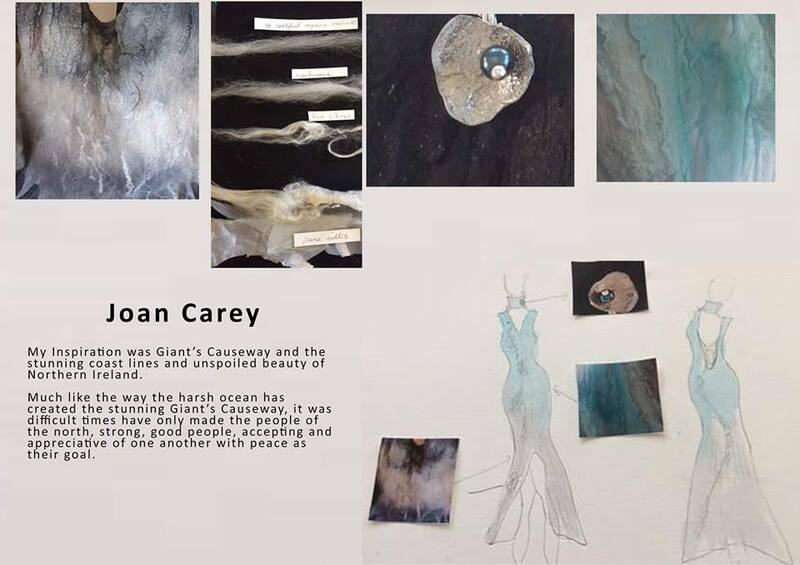 This is an amazing opportunity for Joan as the winner will have their design showcased on the International Stage in front of top designers from all over the globe. If you would like to help her get there, then please click on the following Facebook post HERE (1 like = 1 vote). If you like the post then Joan will enter you into a draw to WIN a prize, either a silver or nuno felt piece or a voucher. This means that not only could Joan be a winner, but you could be too!